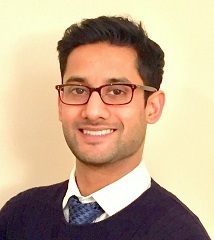 Kishan undertook the combined training of Dental Therapy and Hygiene at Bart’s and the London School of Medicine and Dentistry. He is a friendly and caring clinician who always puts his patients first. He receives excellent feedback and is committed to the highest standards in the treatments he provides whilst being gentle and thorough. His scope of practice allows him to treat gum disease and provide routine dental procedures, including examinations, fillings and whitening treatments. Kishan keeps his knowledge and skills up to date by attending specialist courses, and is well versed with the many innovations in his field. He promotes his ethos of ‘prevention is better than cure’ as his key to maintaining good oral health and believes in a minimally invasive approach to restorative treatment. He feels practising a thorough oral hygiene regime should begin from a young age, and thus, provides oral heath education in schools and clinics. In his spare time, Kishan attends exhibitions and galleries as he has a keen interest in art. He also enjoys travelling and keeping fit during the week by cycling and playing football.